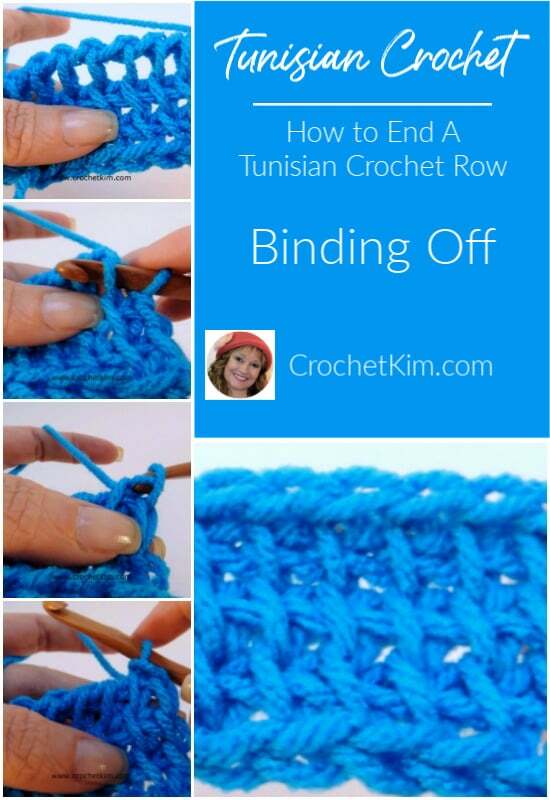 When working in Tunisian crochet, most projects will require a bind off row. You can see the empty spaces between the stitches on the last row, at the top, in this photo. 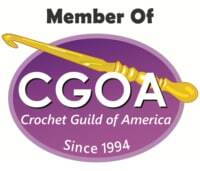 This video demonstrates several different bind off methods in Tunisian crochet. If you are experincing difficulties viewing it, you may need to turn off any ad blockers you have installed. There are only a few times when the bind off isn’t necessary. 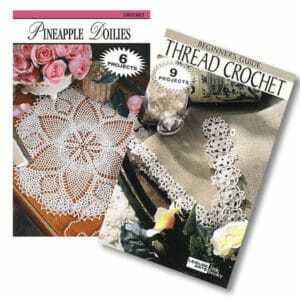 I typically don’t need a bind off for most lace designs since that would close up an otherwise lacy project. I have omitted the bind off at the top of a hat to make cinching at the top easier. I have omitted it when I have woven a ribbon through the stitches at the top. 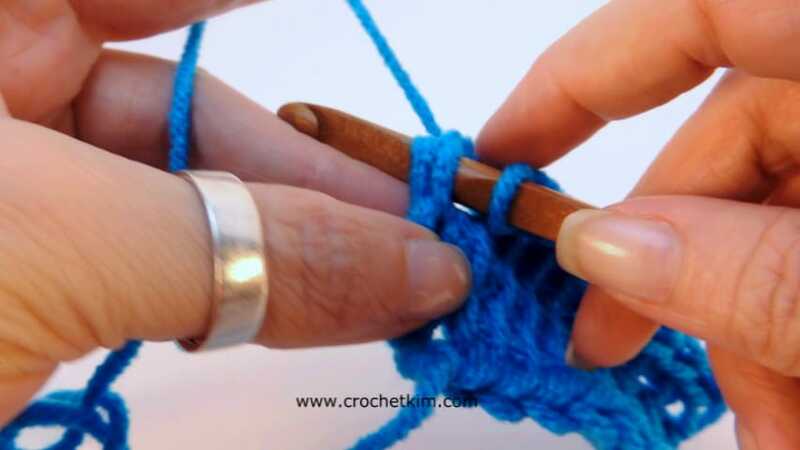 For the most part, though, you will want to bind off. Binding off will start just as you would any other row. 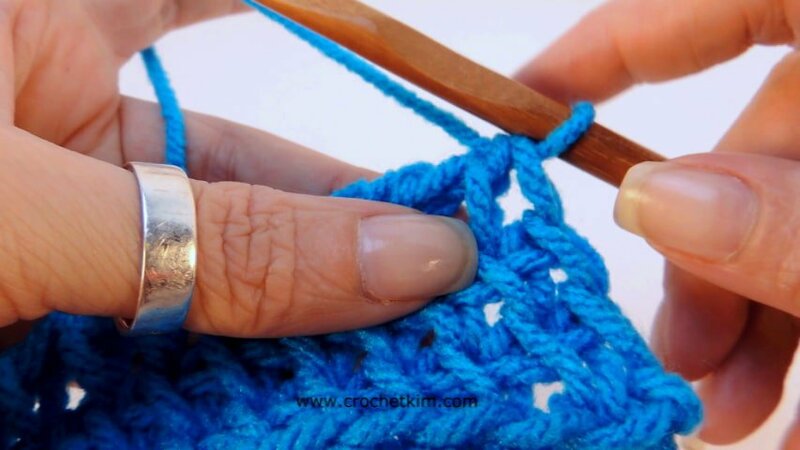 Insert your hook as you would for Tunisian Simple Stitch. 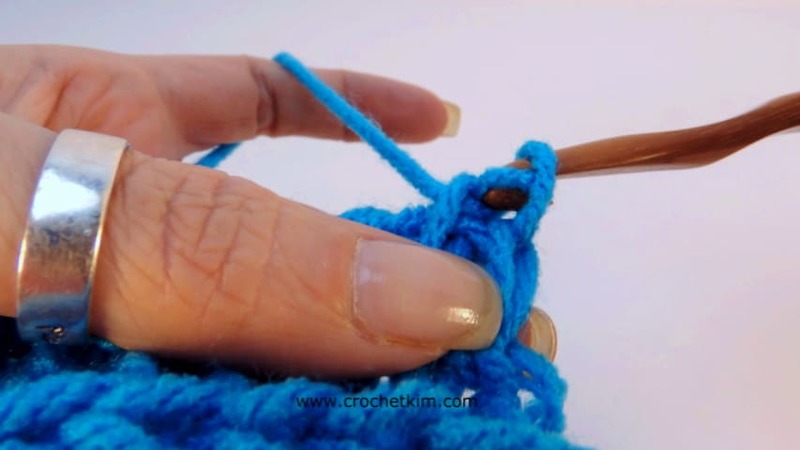 Yarn over and pull through a loop. As you are pulling through, also pull through the loop on the hook. 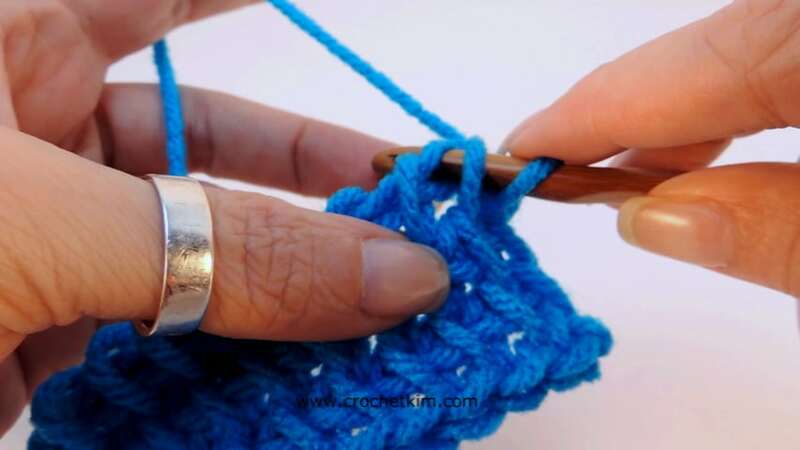 Keep in mind that you are only doing a slip stitch, just like any other slip stitch in regular crochet. Here is the first slip stitch created. And, here are several slip stitches created. 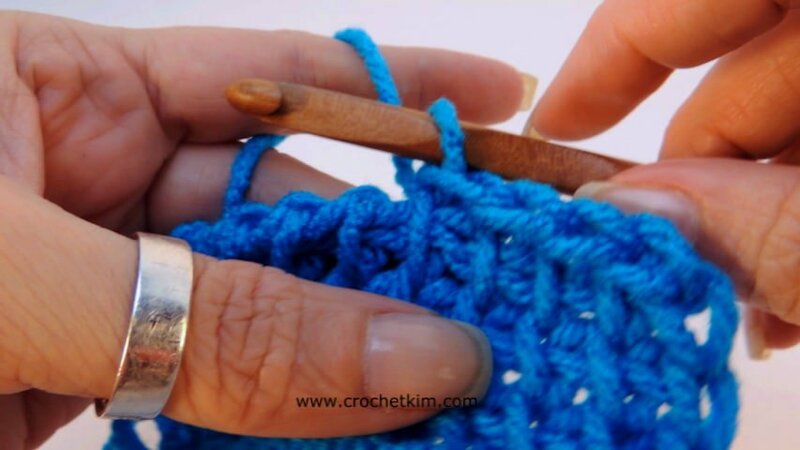 To make the last slip stitch, insert your hook under the two outer vertical bars before pulling up your loop, just like you would normally. Here is the completed bind off. Notice that the spaces that were seen earlier are now closed. 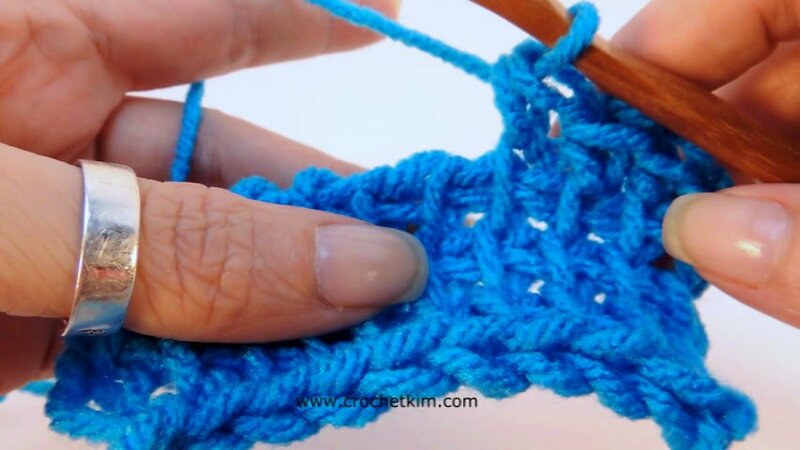 You aren’t limited to inserting your hook as for Tunisian Simple Stitch. 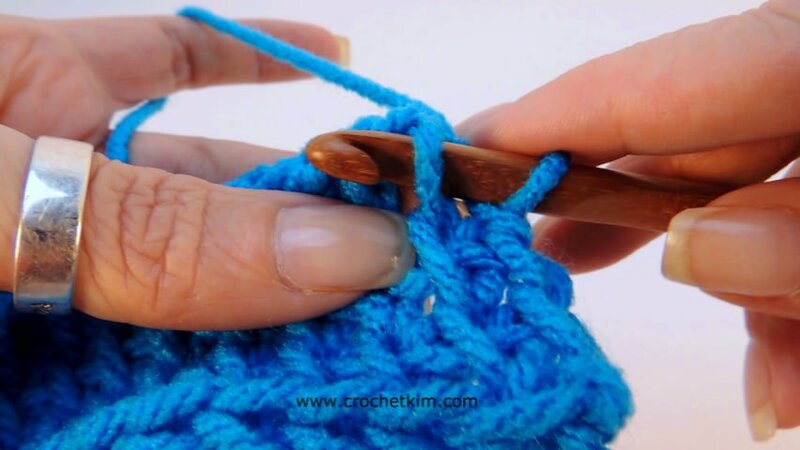 My preferred method is to insert both under the front vertical bar and under the top chain horizontal bar at the same time prior to doing the slip stitch bind off. 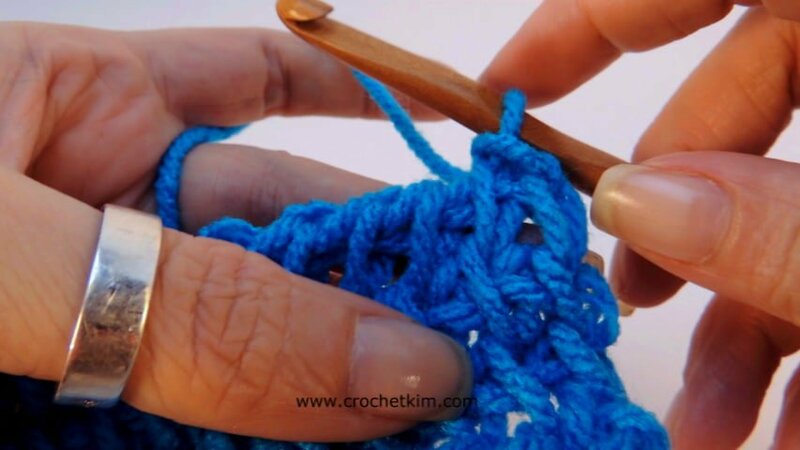 You aren’t limited in using slip stitch either. 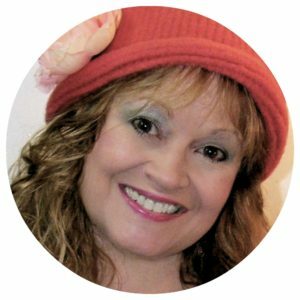 Try using different stitches. Here, I’ve used a single crochet bind off, worked as for Tunisian Knit Stitch. And, here is a single crochet bind off with insertion as for Tunisian Simple Stitch. 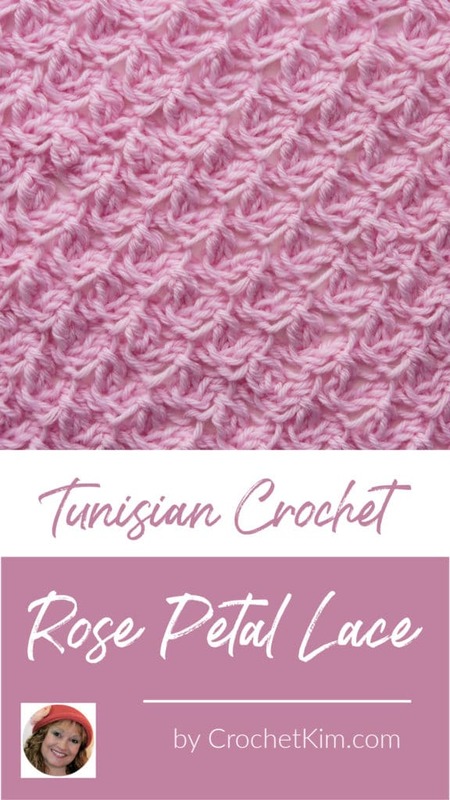 Tunisian Double Stitch (tds): Yarn over, insert hook in stitch indicated in a side to side motion (right to left for right-handers or left to right for left-handers) under front vertical bar, yarn over, pull loop through, yarn over, pull through 2 loops on hook, one loop remains. 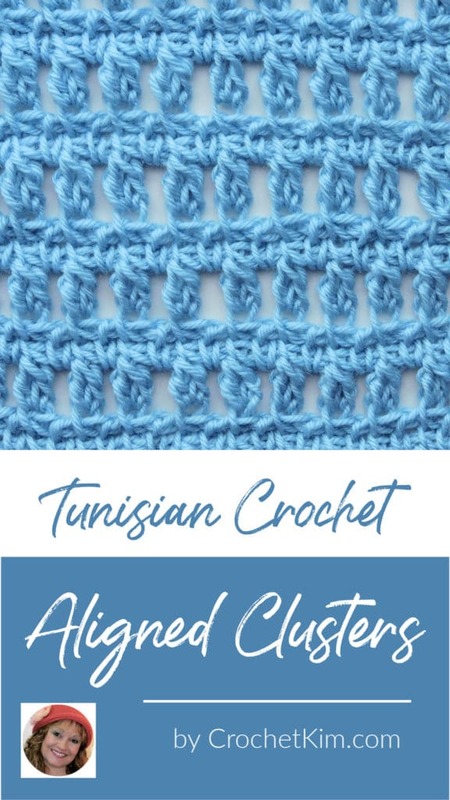 More information on Tunisian Double Stitch. Two Double Cluster (2dc-cl): Inserting hook as for tss, work 2 tds in same stitch, yarn over, pull through 2 loops on hook, 1 loop remains for stitch. 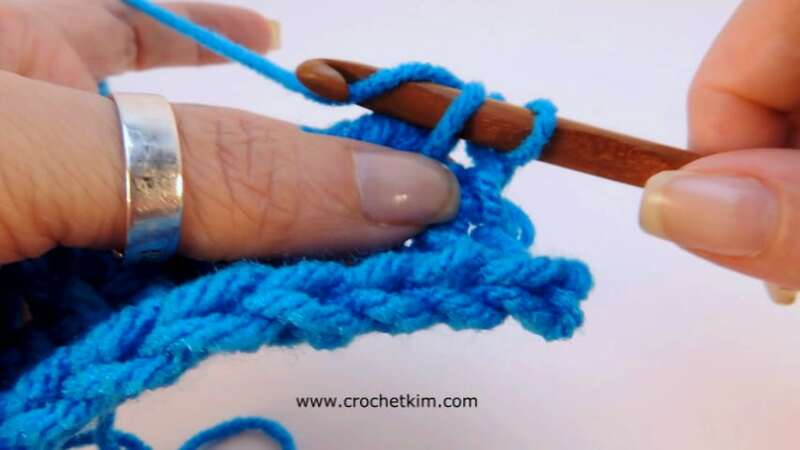 Tunisian Purl Stitch (tps): Bring yarn to the front of your work, insert hook in a side to side motion (right to left for right-handers or left to right for left-handers) under front vertical bar, yarn over, pull loop through. This is essentially the same thing as a Tunisian Simple Stitch except that it has a little wrap of yarn around the front vertical bar. Click here for further stitch instruction. insert hook in last st under two outer vertical bars, yo, pull lp through. 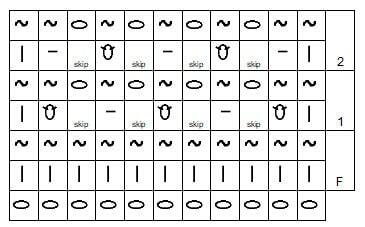 B: Ch 1, *yo, pull through 2 lps on hook, ch 1, rep from * to last 2 sts, [yo, pull through 2 lps on hook] 2 times, 1 lp remains. A: Sk first vertical bar, *tps in next st, sk next st, 2dc-cl in next st, sk next st, rep from * to last 2 sts, tps in next st, insert hook in last st under two outer vertical bars, yo, pull lp through. 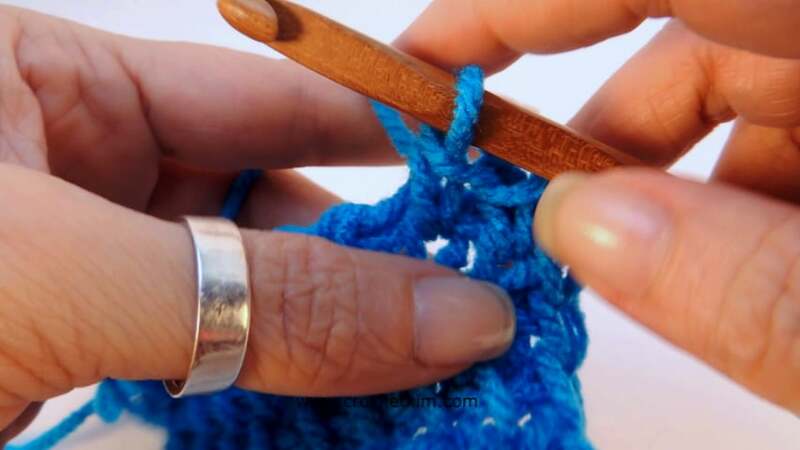 Tunisian Extended Stitch (tes): When used at the beginning of the row, it simply means that you chain one to bring the first stitch up in height. 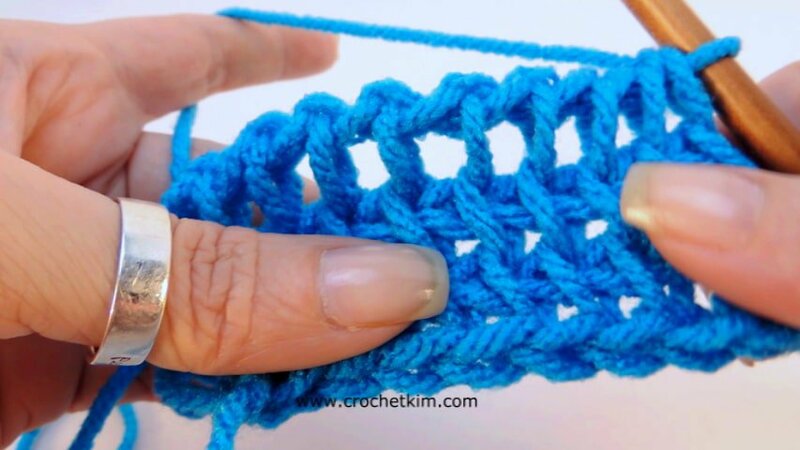 When used in other stitches for this stitch pattern, insert hook as for Tunisian Simple Stitch then chain one. Tunisian Simple Stitch (tss): Insert hook in a side to side motion (right to left for right-handers or left to right for left-handers) under front vertical bar, yarn over, pull loop through. 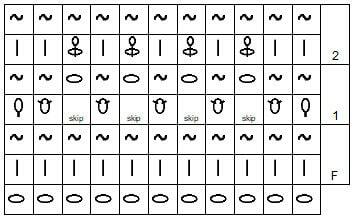 More information Tunisian Simple Stitch. Tunisian Extended Full Stitch (tefs): Insert hook between stitches, under the closing horizontal chain from front to back, yarn over, pull loop through, chain one. Click here for further stitch instruction for Tunisian Full Stitch. 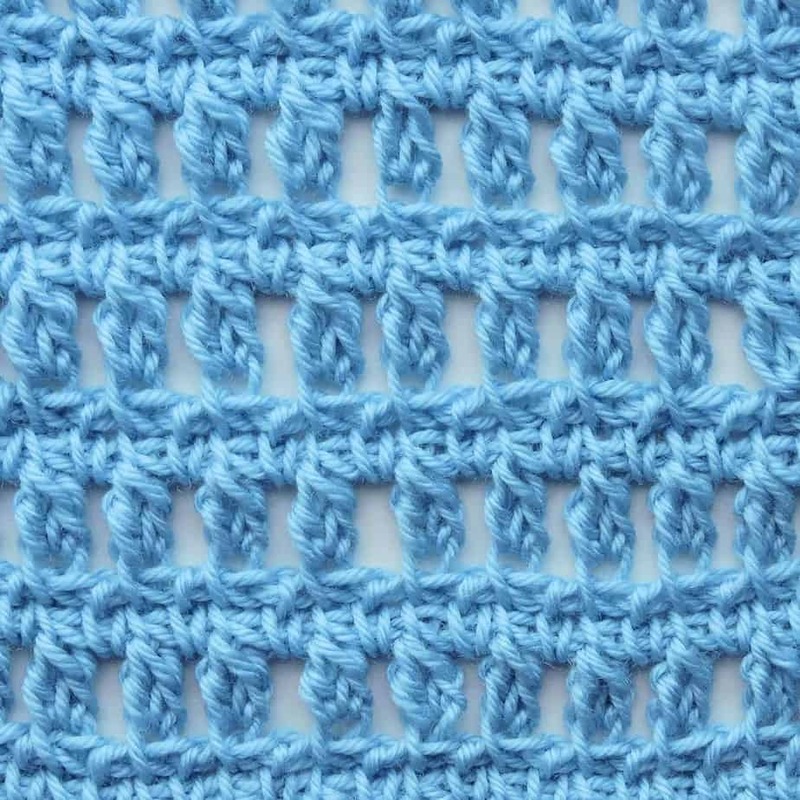 Note that this stitch is a Full Stitch, but there’s an extra chain one at the top, turning it into an Extended Full Stitch. Tip: Between each cluster, there’s a single horizontal strand. 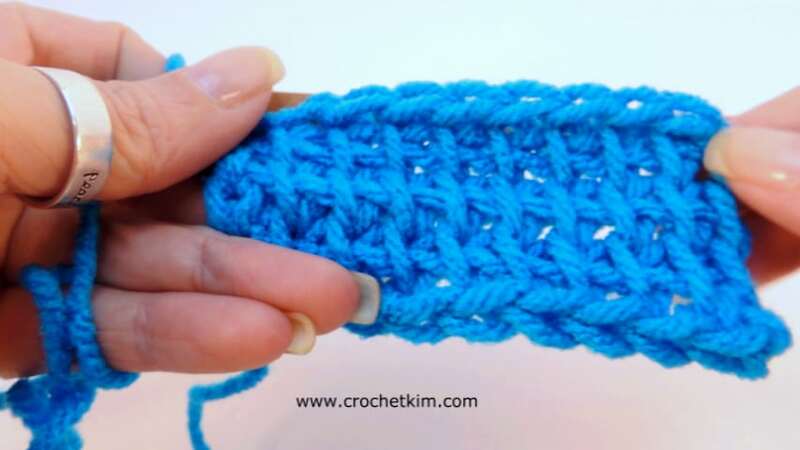 When making this full stitch, I decided to “hide” that horizontal strand by inserting the hook under that strand and the horizontal chain at the same time. This pulls that strand up into the chain to make the clusters more defined. This isn’t a necessary step. I just thought it looked nice. A: Ch 1, sk first vertical bar, *2dc-cl in next st, sk next st, rep from * to last 2 sts, 2dc-cl in next st, tes in last st under two outer vertical bars. A: Sk first vertical bar, [tss, tefs] to last 2 sts, tss in next st, insert hook in last st under two outer vertical bars, yo, pull lp through . 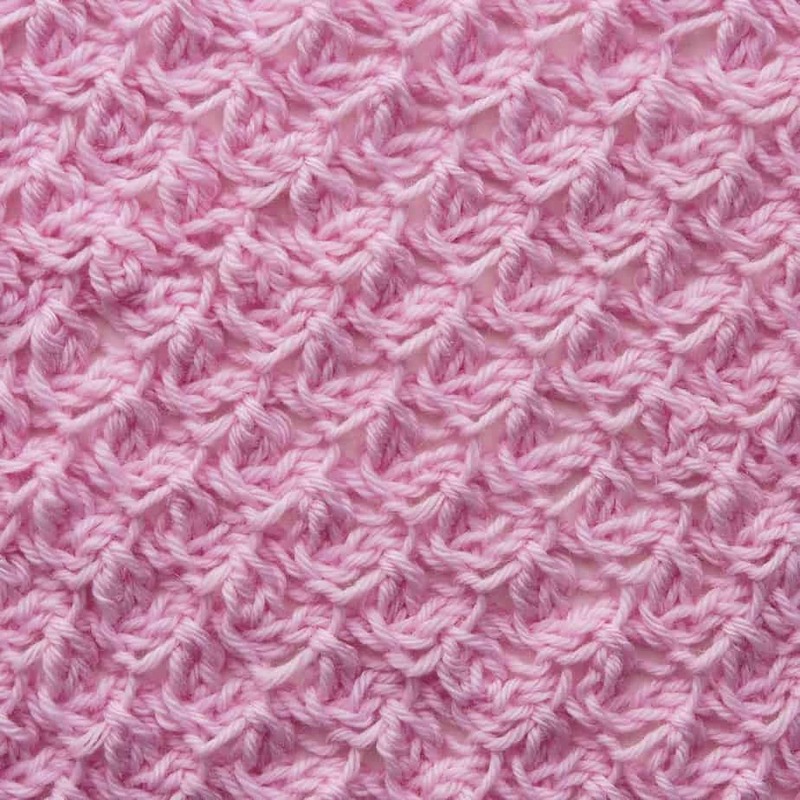 The yarn shown in this stitch is Cascade 220 Superwash Wool in color 847 Caribbean. Thank you to Cascade Yarns for providing the yarn for this stitch library.